Creating images and managing ideas. 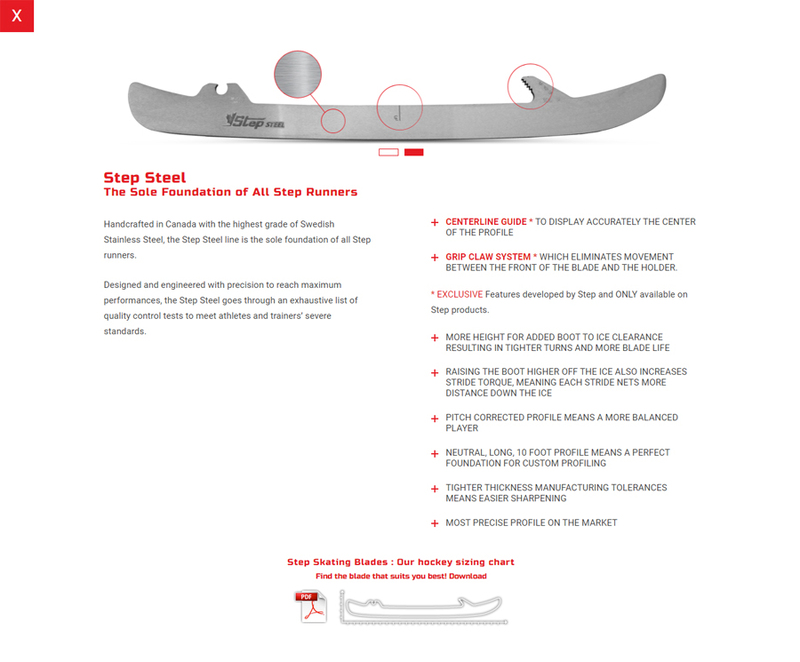 Step Skating Blades is a Canadian based company dedicated to the design and manufacture of high-end replacement steel. 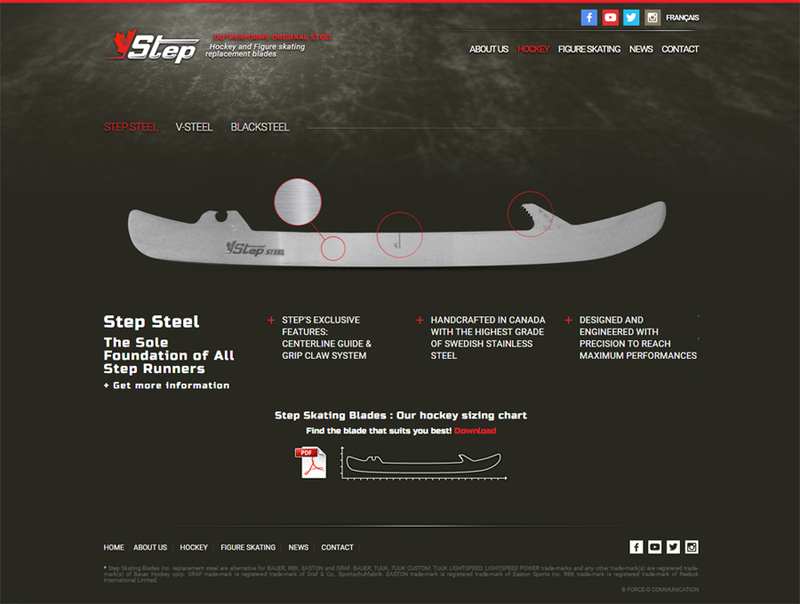 Recognized as the leader in the industry, Step is constantly seeking innovative technologies to deliver the best performing product. 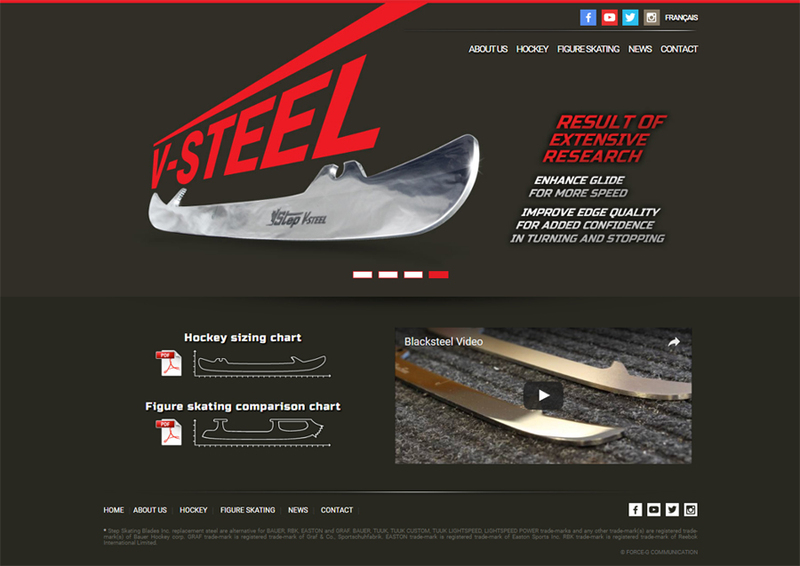 We first worked on a new logo and a new graphic charter. 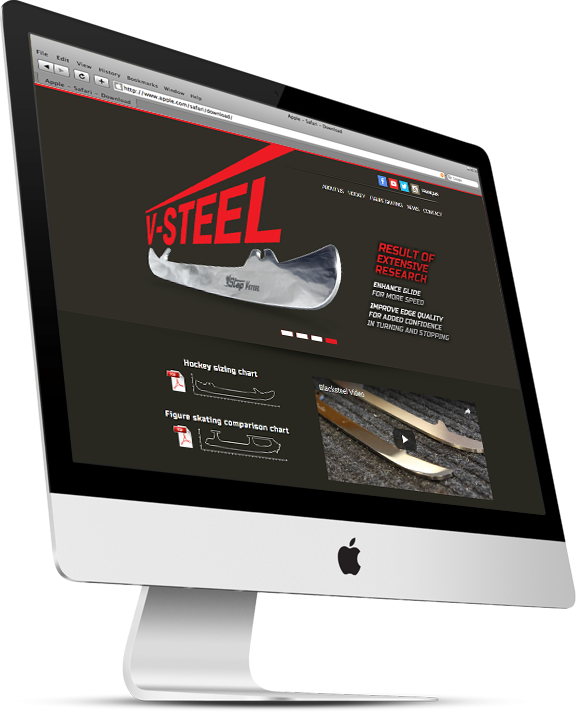 As a project manager and a graphic designer, I then worked on the revamp of their website. After the launch, I managed the updates. Previous Previous post: JA Larue Inc. Follow Dam on social media.